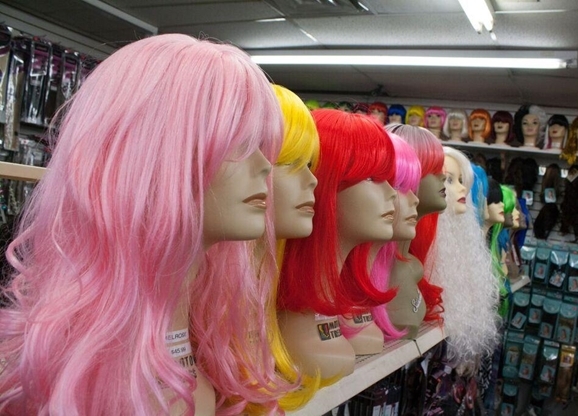 Four Dallas Wig Shops For Changing Up Your Look On The Quick. Yes, Dolly loves her wigs. But she's not the only one. On the whole, we Texans have an affinity for them, too. True to the stereotype, we've always loved our hair big down here; the old adage about the higher the hair, the closer to God still rings true, far as most of us are concerned. • Making The Cut. // The 10 Coolest Barbers and Hairstylists in Dallas. • Mane Event. // According To A New Coffee Table Book, These Are The Best Beards In Dallas. Thing is, no one really cares if the hair is natural, just that it looks good. That in mind, we decided to round up the best places in Dallas for you to get your wig on, if you so choose. Lemmon Wigs and Beauty Supply. Comfortably situated in Oak Lawn, Lemmon Wigs and Beauty Supply has been gloriously crowning the heads of professional drag queens, people looking for a temporary fix after a bad haircut and everyone in between for about 26 years now. 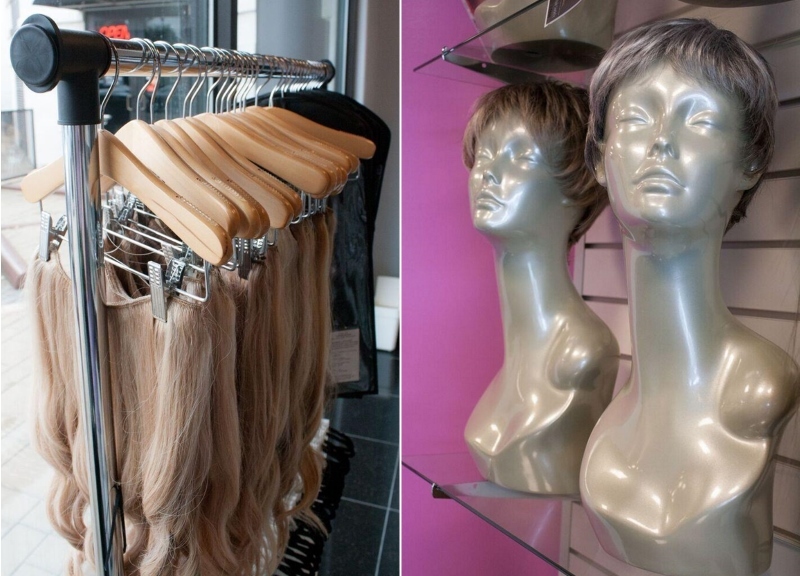 They've got you covered on synthetic and human hair pieces alike, with prices ranging from $15 to a little more than $500 per wig, putting this shop at the lower-to-middle range around town. More than that, though, this place also has some of the most daring wigs you're like to find in Dallas. Seeking a hot pink afro with a diameter of about two feet to fiercely announce your arrival anywhere? They've got that here. Makeup, too, and lots of it. Naturally, you can also score here some glue-on lashes that can be seen from the cheap seats. Whether you're regretting that bold decision to chop away at those bangs or just bored, Lemmon Wigs is anything but sour. 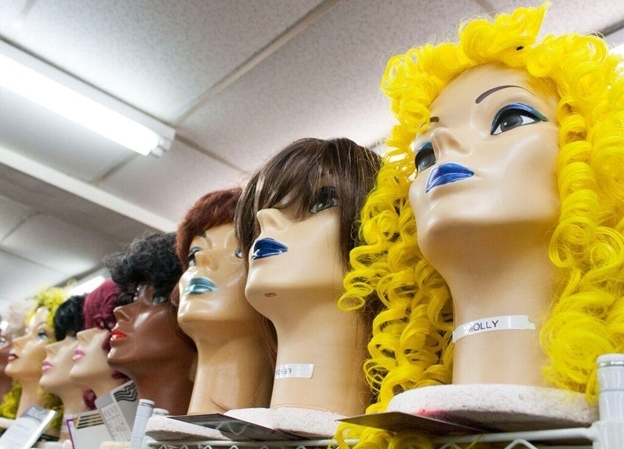 A little gem nestled away in the mostly abandoned Wynnewood Village Shopping Center, Wig Paradise offers a vast variety of services to go alongside their wigs. They not only help you find the right wig to go home in, they'll also trim and style your new piece on site. Oh, and if you're thinking full-cap wigs are all they've got to offer, think again: This spot also has braids, clip-ins, wiglets and puffs. 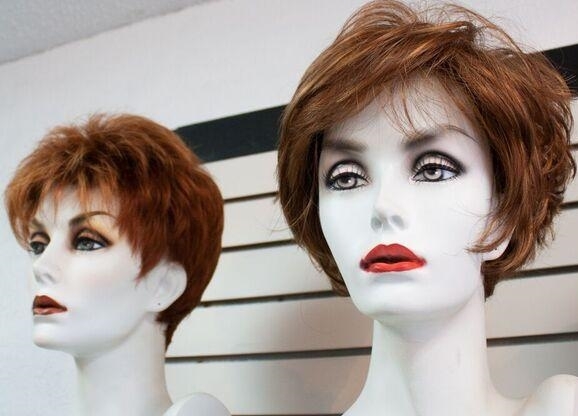 They even have a clearance aisle, too, with some wigs going for just $20. The rest of the offerings — human and synthetic hair alike — range from $35 to $1,000, putting Wig Paradise somewhere in the middle ground as Dallas wig pricing goes. Though it's rather quietly located on Garland Road near the Arboretum, Margie's Wig Salon ain't silent by any means. This place has been in operation for 25 years now, specializing in services for those undergoing chemotherapy or dealing with the effects of alopecia. To that end, the shop is affiliated with Look Good Feel Better, an organization determined to help women with cancer battle self-esteem issues and enhance their quality of life. They sell synthetic wigs starting at $165 with the highest being around $395, and human hair ones ranging from $895 to $1,400. That makes this shop in the more middle-to-high cost range in town. Of course, there are perks included, among them private fitting rooms to anyone seeking that perfect look. Just don't come in here looking for too crazy a selection, as things here are kept purposefully conservative and meant to inspire those who need it most. The Wig Box (inside The Beauty Box Salon). The Beauty Box Salon has been kickin' it in Dallas for about six years now, but only for the past year have they been offering wig and extension services at their Cedar Springs location for anyone looking for high-end, quality wigs and extensions. And, really, this place is so choice, y'all. I mean, they have a full-service salon operating alongside it! Maybe you're feeling insecure about that little tuft atop your head, or perhaps you have a photoshoot to get to soon. Either way, The Wig Box is there for you, ready to guide you through a color, cut, extension application or wig purchase. Wig prices start around $250 for synthetic and go up to $2,500 for human hair making this definitely one of the pricier joints around town to find some fake strands — but, if you have the means, we highly recommend it. 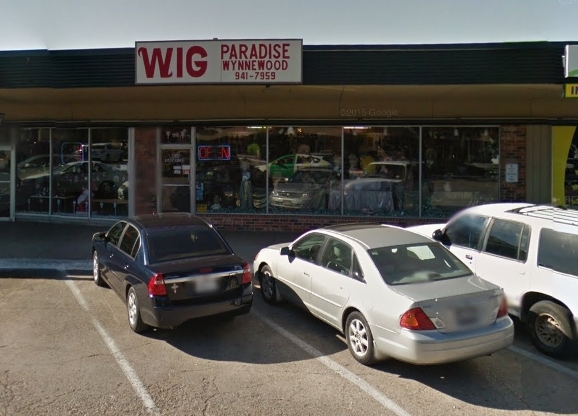 Wig Paradise photo via Google Maps. All other photos by Nicholas Bostick.